Herbs rich in vitamins, minerals, fibre and nutrients, which are indispensable helpers in the fight for health. It also contains chlorophyll – miraculous pigment that gives plants their saturated green colour and effect on the body on the basis of the oxygenation, blood purifying and removing harmful substances from our liver and gastrointestinal tract. 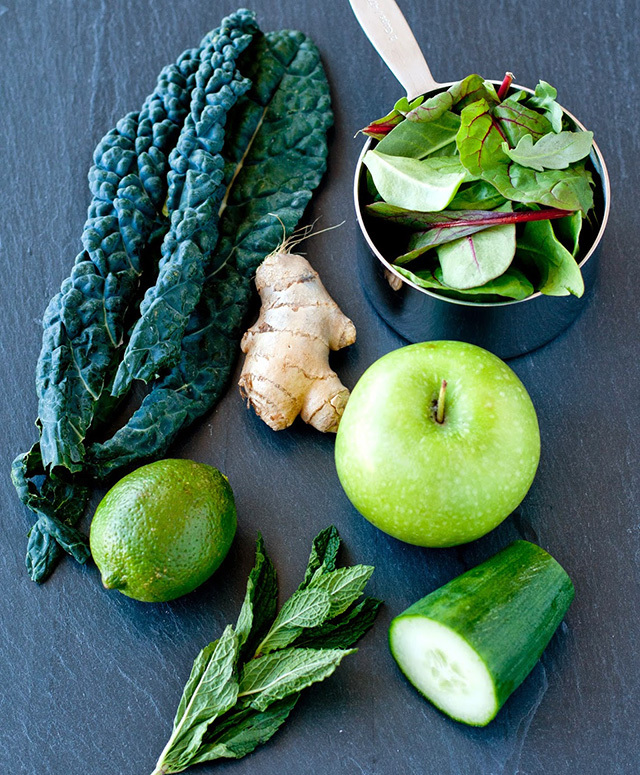 Your body and mind need to be consumption of greens, and I will try to convince you of this. What you need to understand the word “green”? Despite the fact that cucumber, celery and zucchini are green and, of course, good for you, this is not a “green”, I’m talking about. I mean cabbage, spinach, beet leaves, stems, dandelion, Swiss chard, kale, mustard greens, broccoli, broccoli sprouts, watercress and dark leafy salads. Read below what constitutes each “member” of the green “gang”, and look for them in grocery stores and at farmers’ markets nearby. Start adding “green” in your diet from the beginning of the day, when your body needs so much extra energy. Instead of filling the stomach with sweets and empty calories that are contained in the toast, cereal and pastries, start your day with a nutritious “explosion” after drinking a large glass of “green” juice (green vegetable juice rather than fruit juice green !). He will fill your body with antioxidants and micro nutrients. Also, you can drink a “green” smoothie, filled with useful fats and vegetable protein. If you feel the need for something more satisfying, prepare yourself omelet with shredded spinach and chard or cabbage stew with half an avocado and a poached egg. 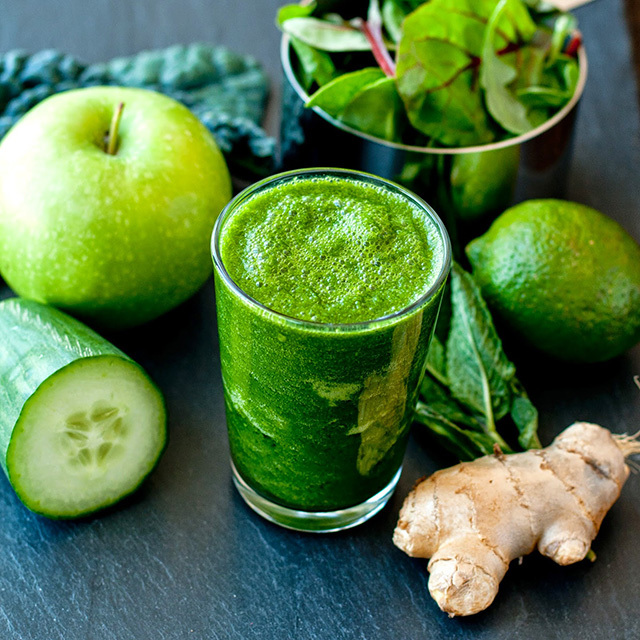 Greens – Breakfast of Champions! 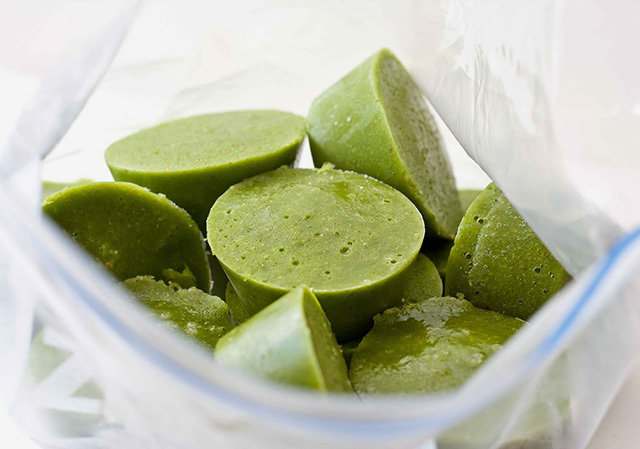 Allocate 15 minutes to wash, cut and pack all their green products. Fill the sink with water and throw it in the water all the greens, to wash it, then chop, pack and store in the refrigerator. In the evening, when you come back from work tired, all you have to do – is to throw the prepared vegetables in a saucepan or steamer for cooking roasts. There are two reasons that should freeze the “greens”: on the one hand, we just do not want it spoiled, on the other – it is always at hand. Many green products that I mentioned are seasonal, which means that at certain times of the year they just do not get it. Therefore, if you see your favourite green vegetables in the market, buy them a little more. Wash them, cut, place on a baking sheet and freeze. After this procedure, pack them into bags for freezing – so you get a huge supply of vegetables for cocktails, soups, stews, cereals and fried foods. This set will be your saviour in rainy days when you need to quickly make some healthy dish. 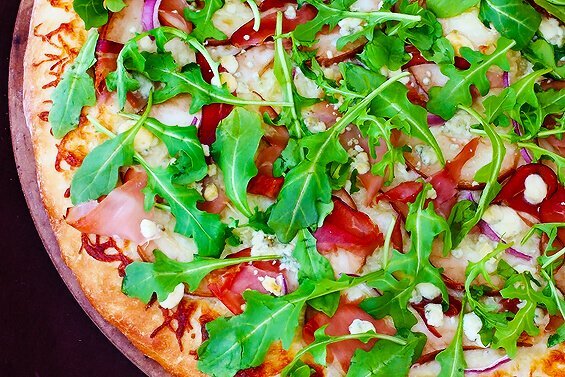 Try to do the first day of the week without meat: Throw a large handful of arugula on top of the pizza, cabbage and asparagus, add the risotto, polenta, sprinkle broccoli or beet leaves. Try to add “greens” in casseroles, and pasta frittata, or just make salads with dark leafy lettuce, beans, olives, nuts and cheese, to get a complete meal. Admit that whole vegetables difficult to carry with you. However, finding a bar which offers fresh “green” juice is even more difficult. In this case, it makes sense to prepare vegetable sachet powder of “green.” Stock up on a mixture comprising wheatgrass, chlorophyll, barley grass and spirulina, put these bags in the car, purse or desk to add them at a convenient time in a bottle of water when you want to eat.The next time when you want caffeine, drink this mixture . Do not limit green cocktails under breakfast and do not deny yourself the pleasure to drink them throughout the day. If you want something sweet after dinner – it’s time to mix some useful ingredients. You can cook a nutritious smoothies and light and low calorie – it does not matter, as long as they add a handful of frozen cabbage. How many years of life do bad habits take away?